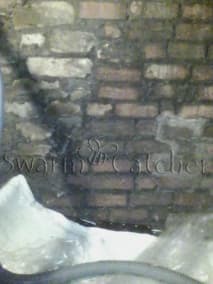 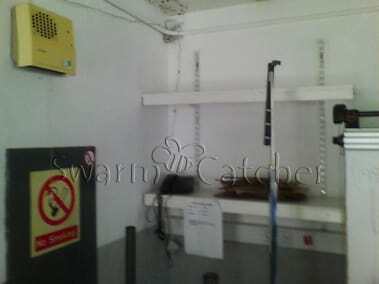 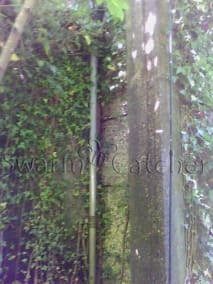 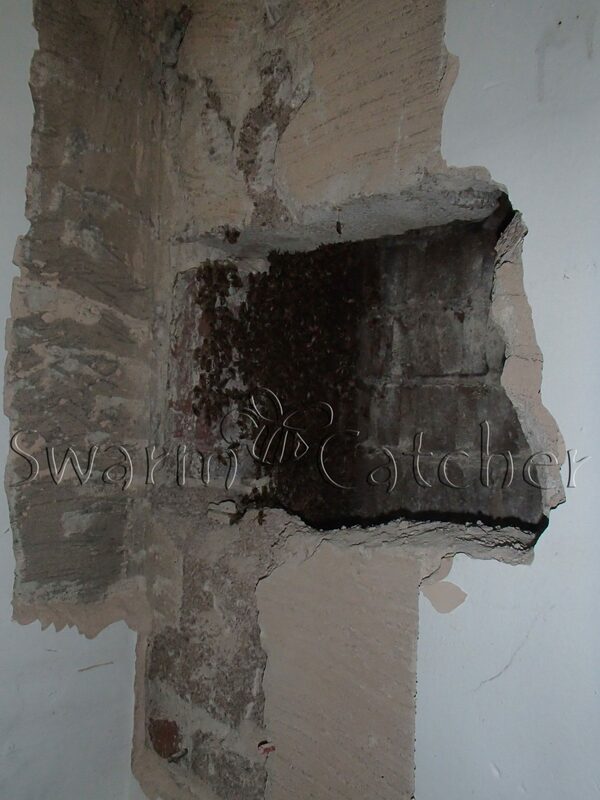 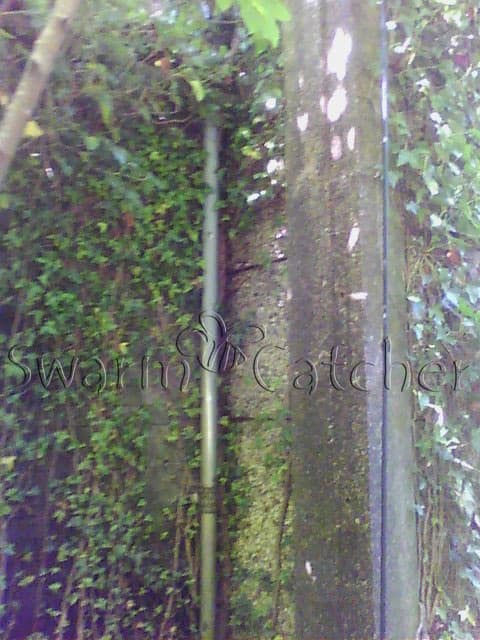 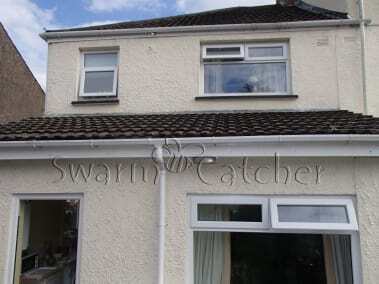 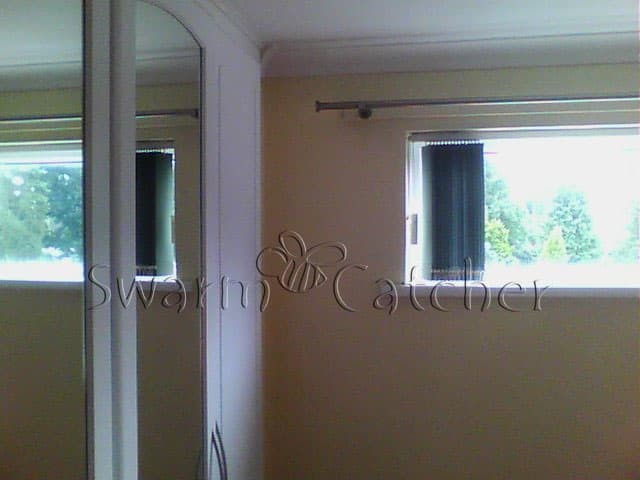 Having honey bees in walls can seem like an impossible situation to remedy, especially without knocking or cutting a great hole in the wall, but here at SwarmCatcher we specialise in removing and relocating honey bees in walls and don’t necessarily do it by knocking or cutting a hole into the wall to do so. 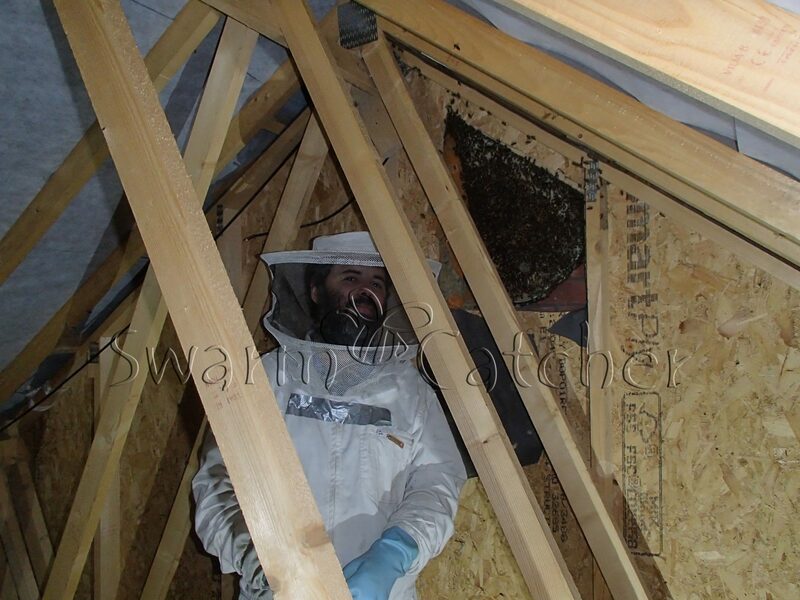 In situations where there are bees in walls we use one of a couple of options dependent upon the type of wall and for how long the bees have been in the wall. 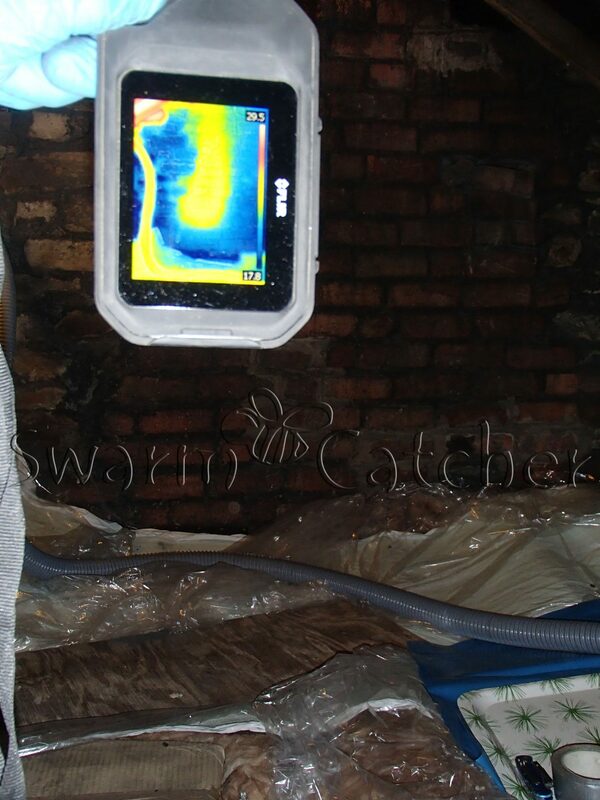 We do this without the use of any toxic pesticides. 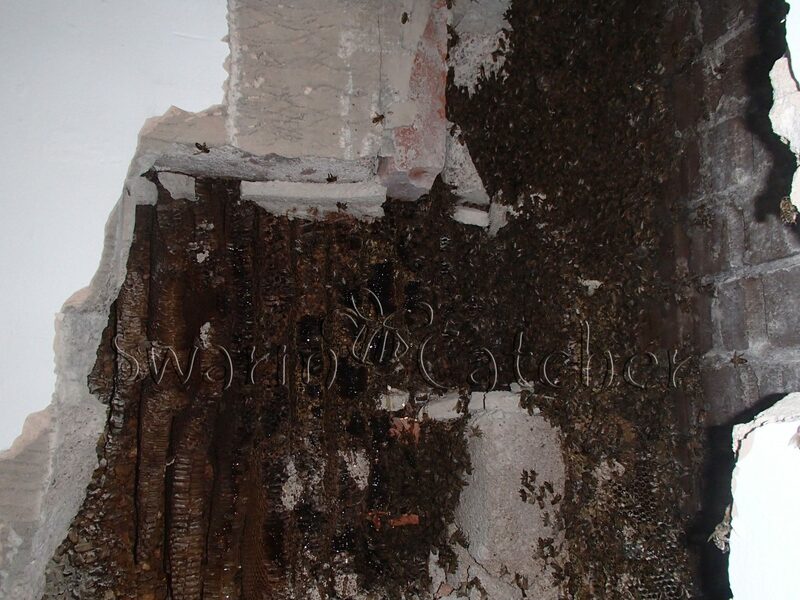 Which method we use to relocate honey bees in walls is mainly determined by the amount of time the bees have been in the wall and the type of wall cavity it is. 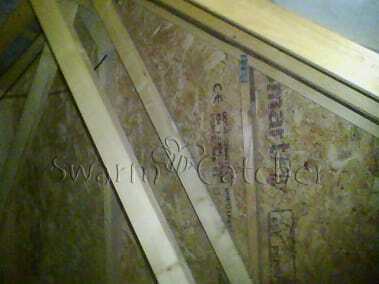 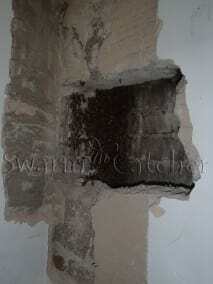 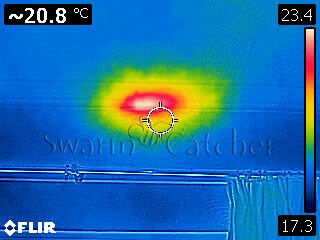 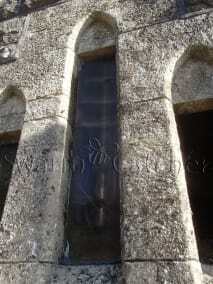 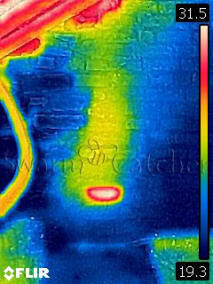 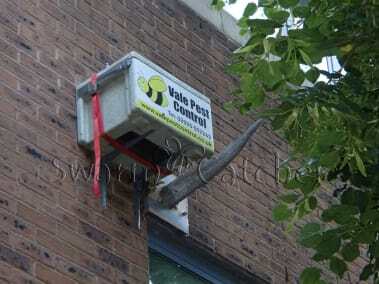 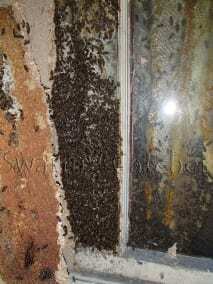 Unfortunately the longer they bees have been in the wall the more difficult and costlier it becomes. 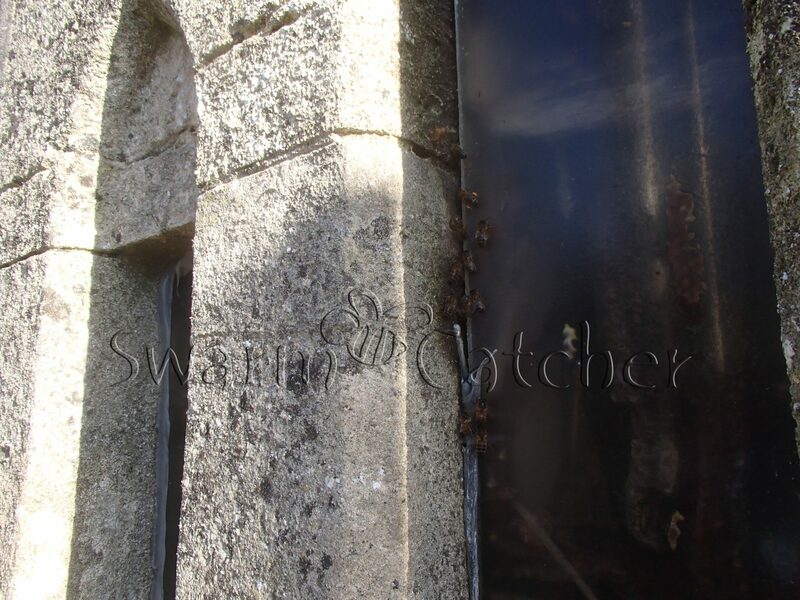 The other main factor is the type of wall cavity the bees have occupied; we remove bees from all sorts of walls, sometimes doing it from within the building, other times from outside of the building. How long have the honey bees been in the wall? 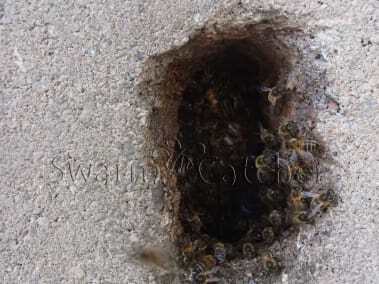 If the bees have only recently turned up to occupy your wall cavity then they can often be pushed out in one of a couple of ways, thru the use of smoke or a blend of herbal essential oils. 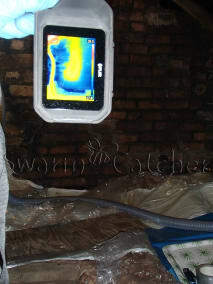 If this doesn’t work we have a few other options (that I can’t tell you about as we keep those to ourselves). 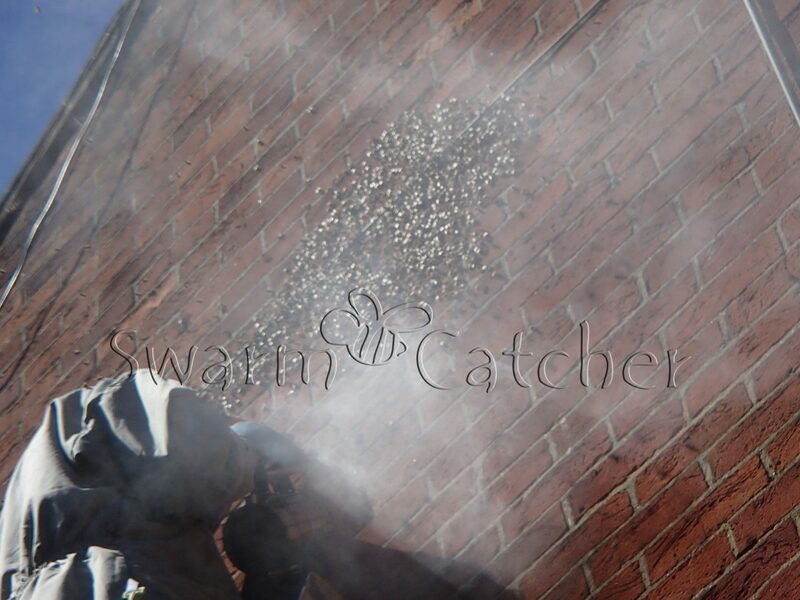 If the bees have only just turned up then smoke can be a good way to move them on, the problem with pumping smoke into a wall cavity is that it can cause smoke damage and a bit of a stink in the whole of the building, but it can be very effective in moving the bees on. 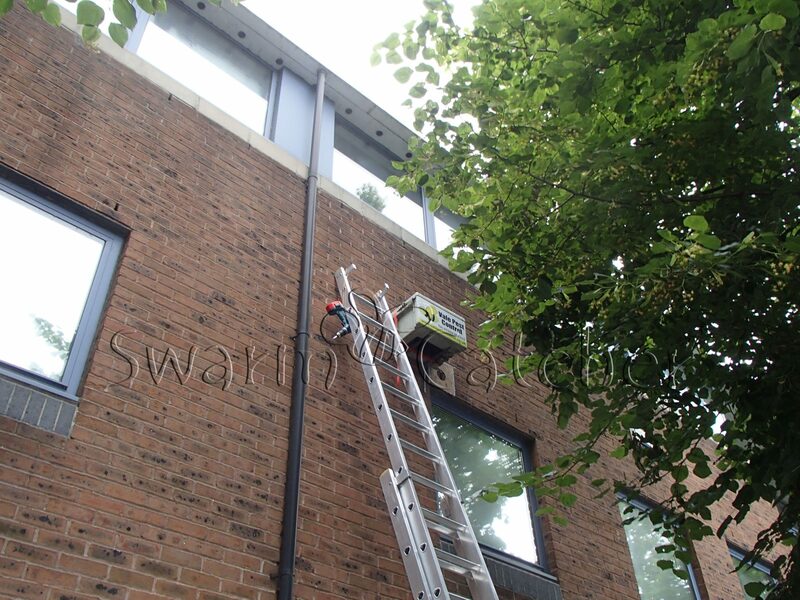 For those that don’t want smoke used then we can utilise a blend of aromatic herbal essence oils, possibly not as effective as smoke but certainly better to live with if you don’t like the smell of smoke or want to take the risk of smoke damage. 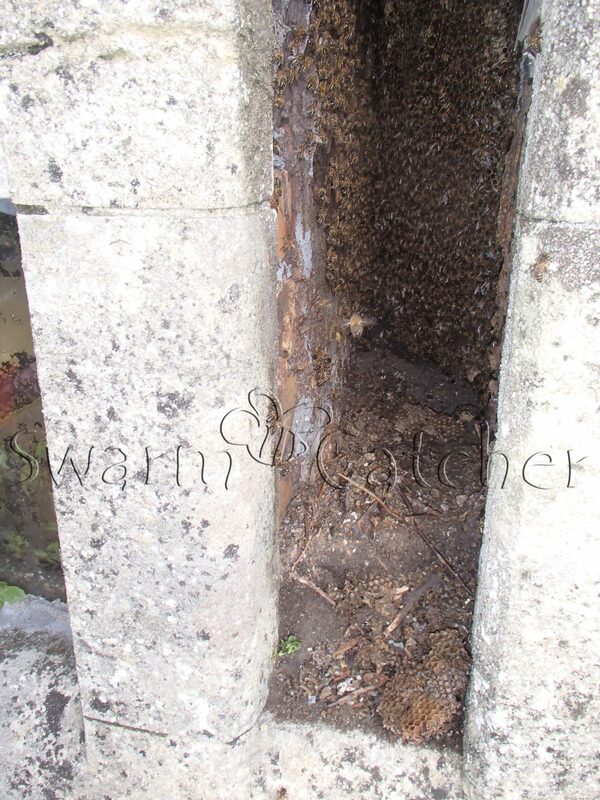 These two methods are usually effective if the bees haven’t been in situ for long, but for those that have been in the wall for anything more than 5 days another method needs to be used. 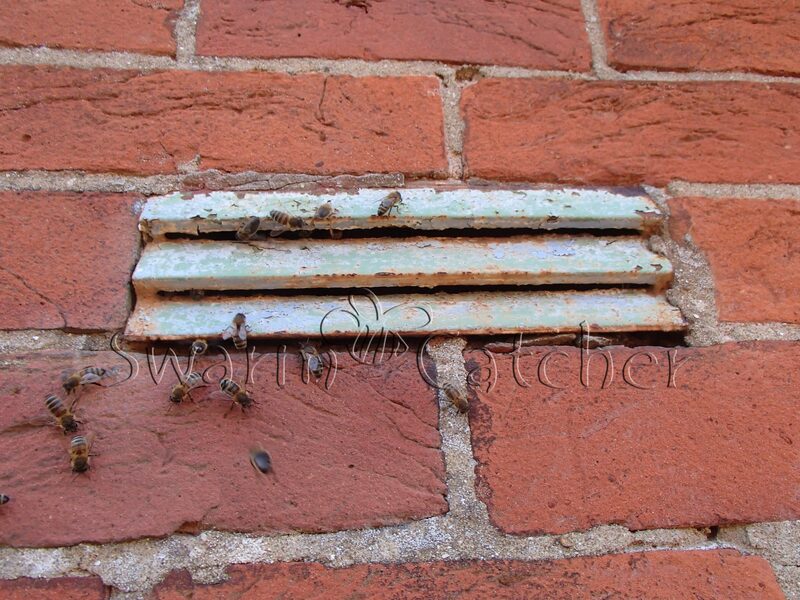 Even after only a day or two it can be very difficult using these methods to get honeybees in walls out. 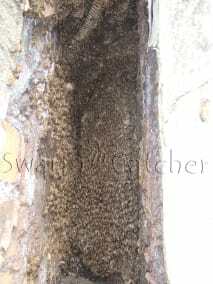 For bees that are more difficult to move and have been in a wall for anything up to 3 weeks it may be possible to carry out a form of honeybee exclusion. 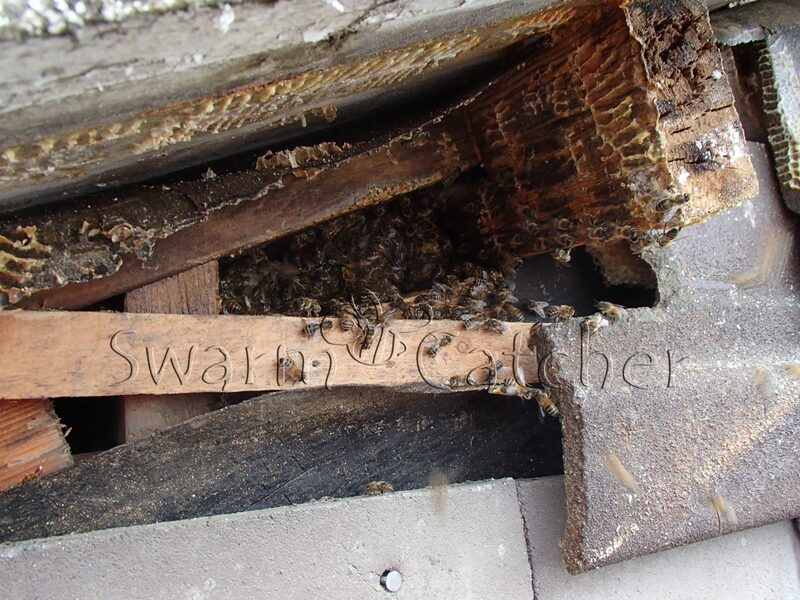 When using this exclusion method it’s very important that we know the arrival date, and that we are able to confirm this using an endoscope camera to ensure that the bees have not been there for longer and not just swarmed on that date. 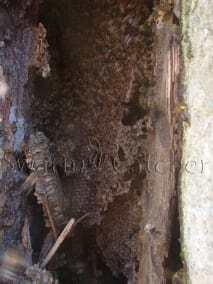 If the honey bees have been in the walls for longer than this then there are really only two main options for the removal of the bees nest from the wall cavity, either they need to be cut-out or trapped out. 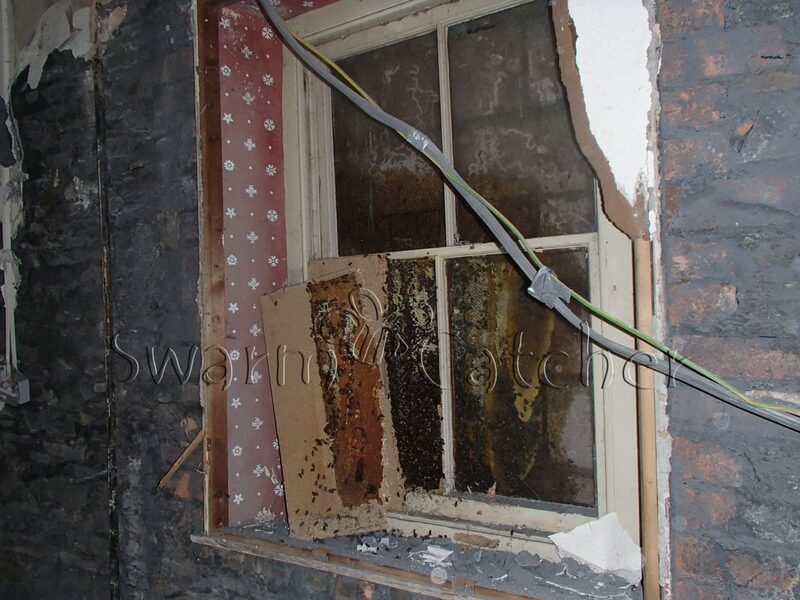 The least intrusive or destructive method for removing honey bees in walls is to carry out a trap-out, the result of which is the removal of the bees and the honey. 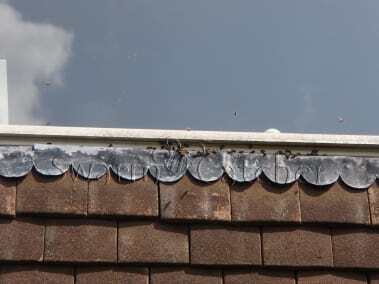 But this is not a quick instant method for the removal of the bees, in ideal conditions it takes 6 weeks but with British weather we find it actually takes longer than this for a variety of reasons. 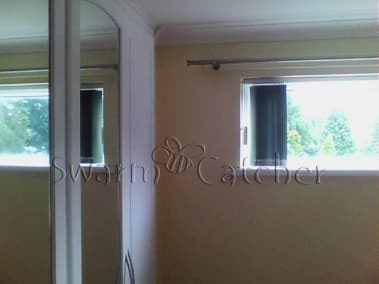 This is deemed a difficult form of removal, with many not gaining a successful result. 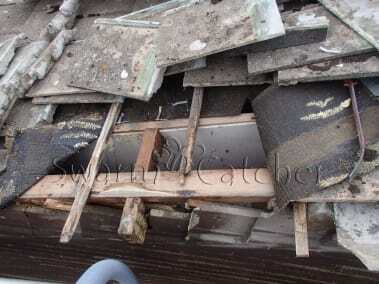 We have not had a failure yet but it does take great care to detail and is not straight forward. 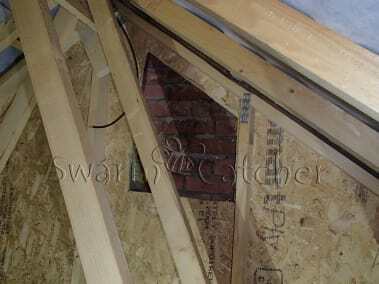 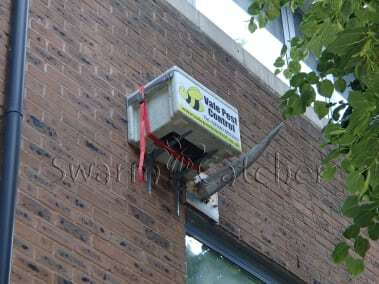 Generally trap-outs needs to be carried out any time during the late spring and the summer months. 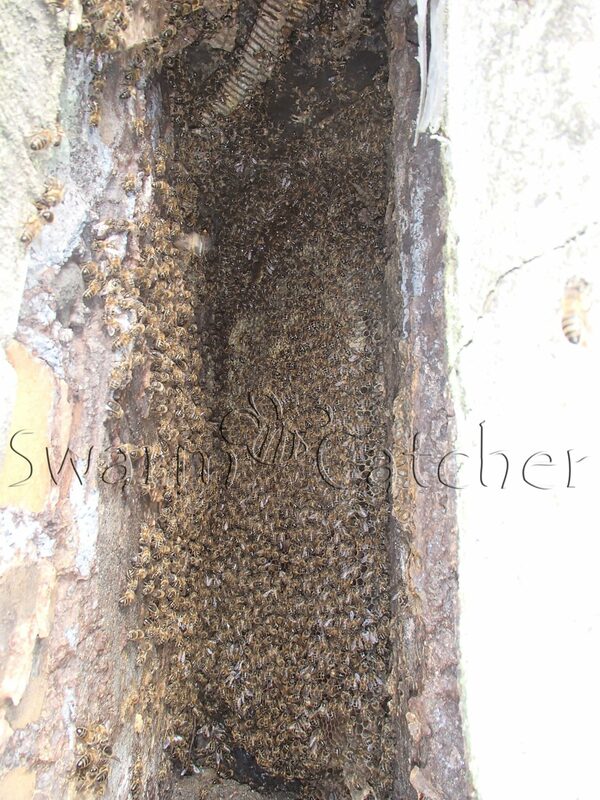 We tend not to do this too late into summer so that the final swarm to leave with the old queen has a chance. There are various variations on how a trap-out can be carried out dependent upon the circumstances and the desired outcome. 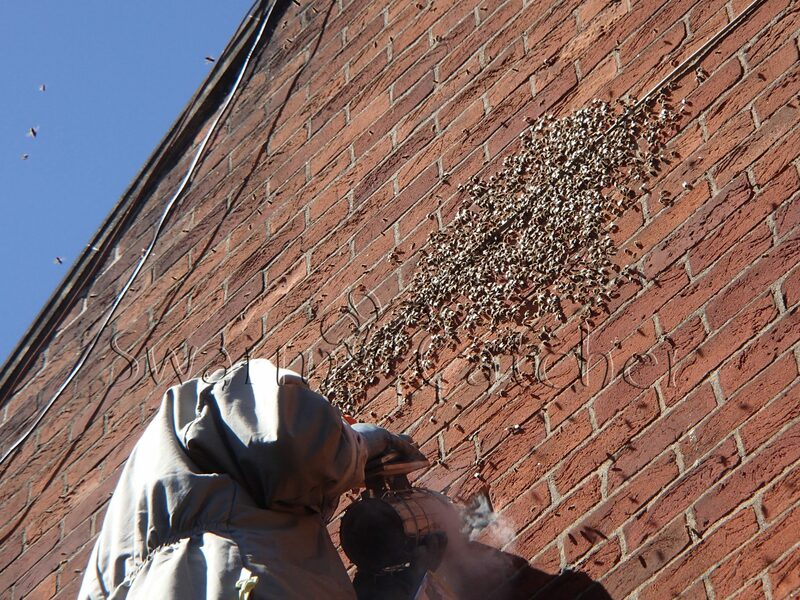 This method is not normally as intrusive as it sounds, here we dismantle a section to access the honey bees in the wall and remove all the bees, the comb and the honey rehoming the honey bees in an apiary. The honeybee cut-out may be carried out from inside the property or from the outside of the property dependent upon circumstances and accessibility. 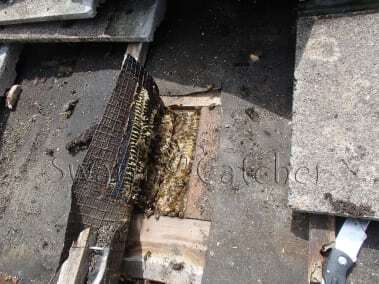 This method offers a fairly immediate solution for the removal of the bees and is usually completed within the day. What types of walls do honey bees nest in? We have come across all sorts of honeybee nests in all sorts of walls. 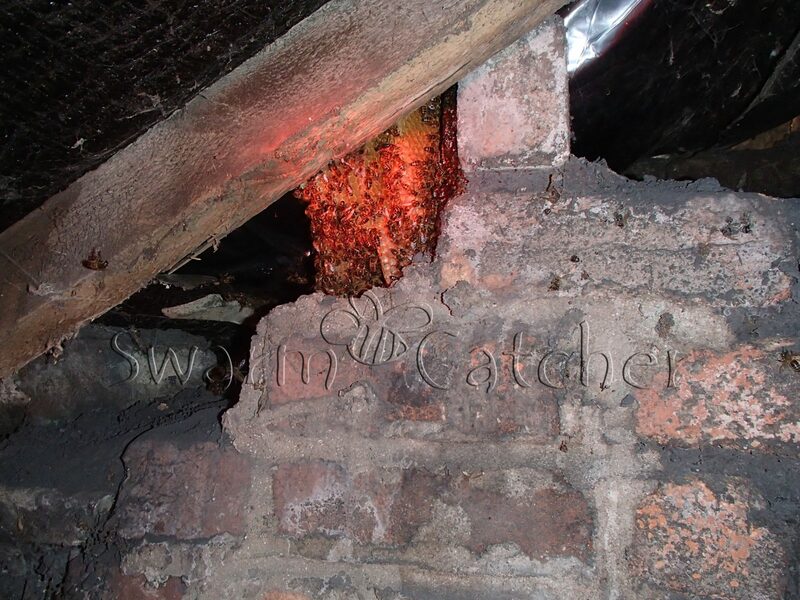 We have been to brick cavity walls with bees in, honey bee nests behind fascias, honey bees entering airbricks, honey bees behind hanging clay tiles. 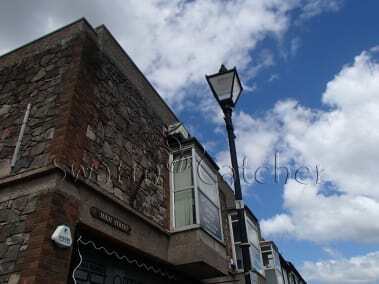 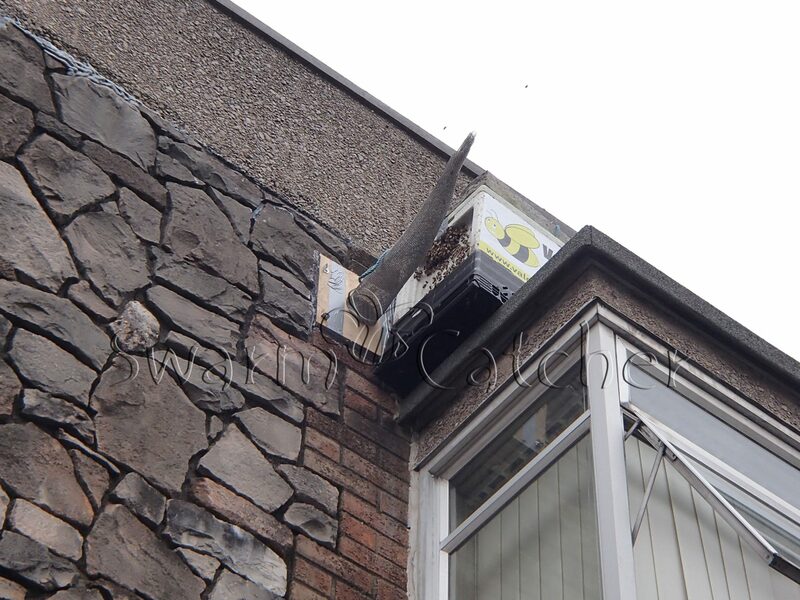 We have cut-out honey bee nests from behind walls in top floor flats, from within the space beneath a window frame, and removed honeybee nests from behind block cavity walls with structural facades. 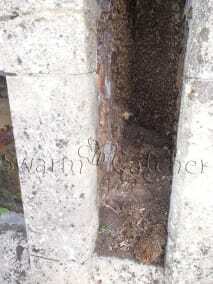 We have removed honeybee nests from the space made between an old windows and a protection board. 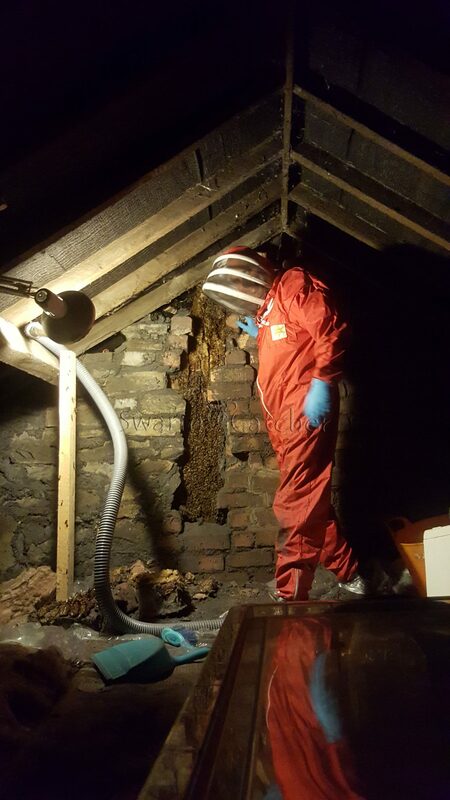 We have taken out honey bee nests from within the soil pipe boxing of bathrooms, from behind wooden facades, even from behind the lead sheeting of a dome roof. Often we remove and relocate bees that have been entering an airbrick just below the eaves of a property, or possibly thru a gap in a soffit board. 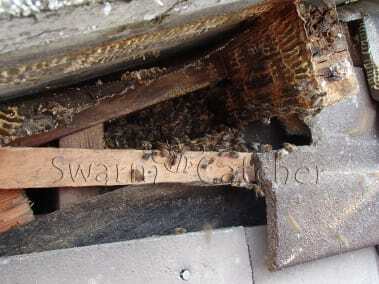 More often than not these bees will be building the honeycomb for their honeybee nest downwards from the top, suspending the wax honeycomb from the rafters into the wall cavity for anything up to a metres or more. 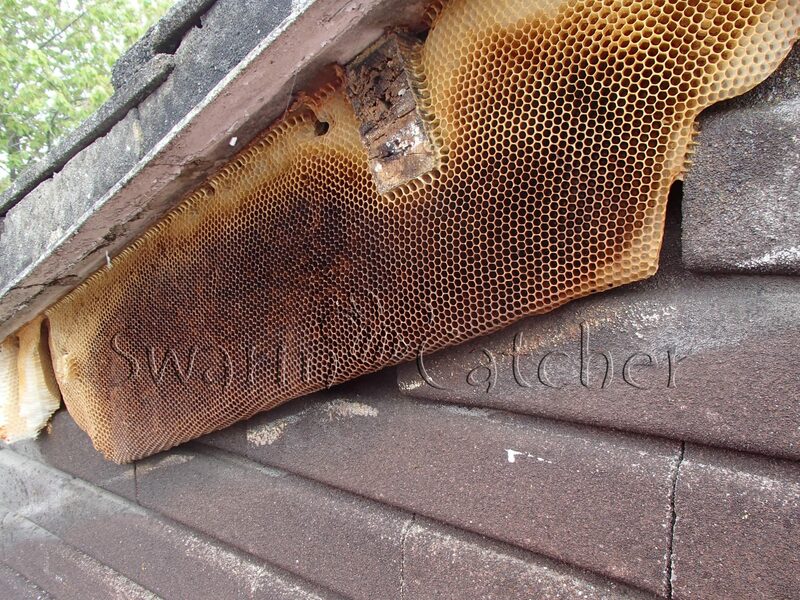 On occasion some of this honeycomb can be seen from the inside of the roof but usually not. Whether we remove these honey bee colonies from inside or out will depend upon practicality, normally we need to be able to at least access the external entrance area. But often it can be easier to get to the bees from within the property and easier to carry out any renovations required invisibly if they are internal. 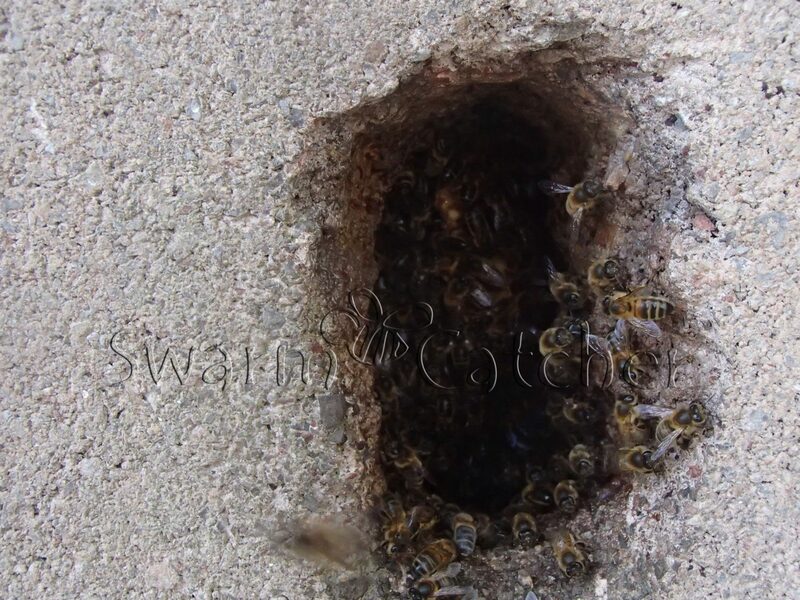 Bees need to be able to find an access point to get into the wall cavity, they then also need to find a space within that cavity that they consider appropriate for them to build a bees nest in. 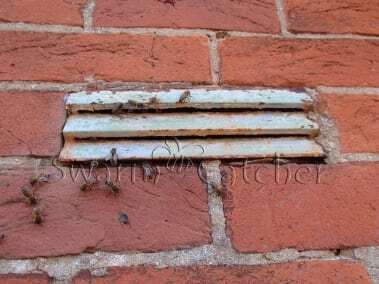 I explain this in quite a lot of detail in ‘Why honey bees like chimneys‘ and despite its title its a fairly appropriate read about bees in walls. 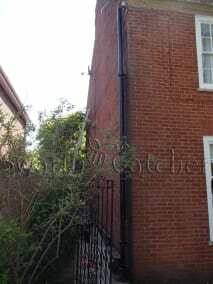 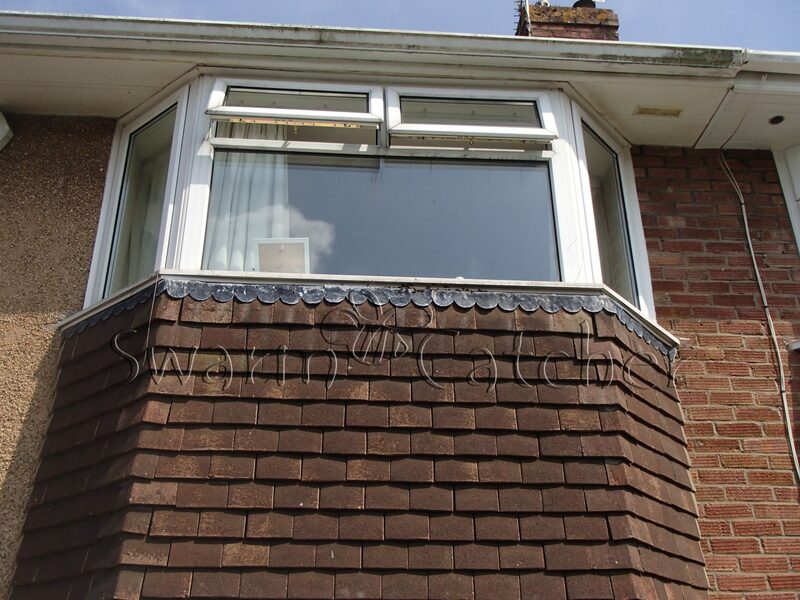 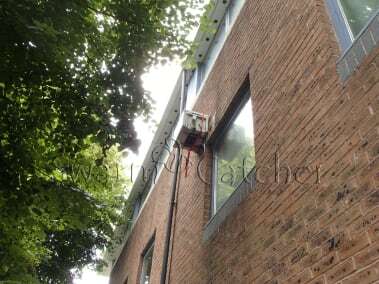 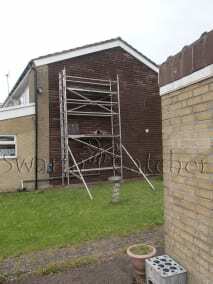 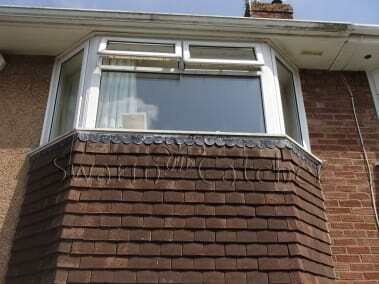 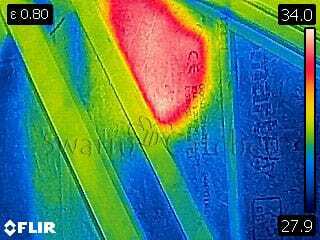 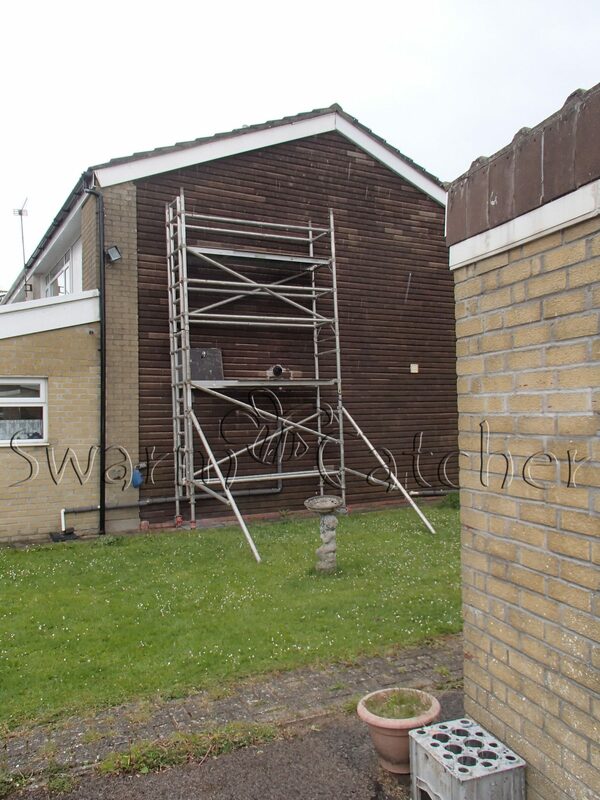 We will often find bees entering air bricks just below the gutter line or soffit, in these instances they are usually just below some framework providing them top support. 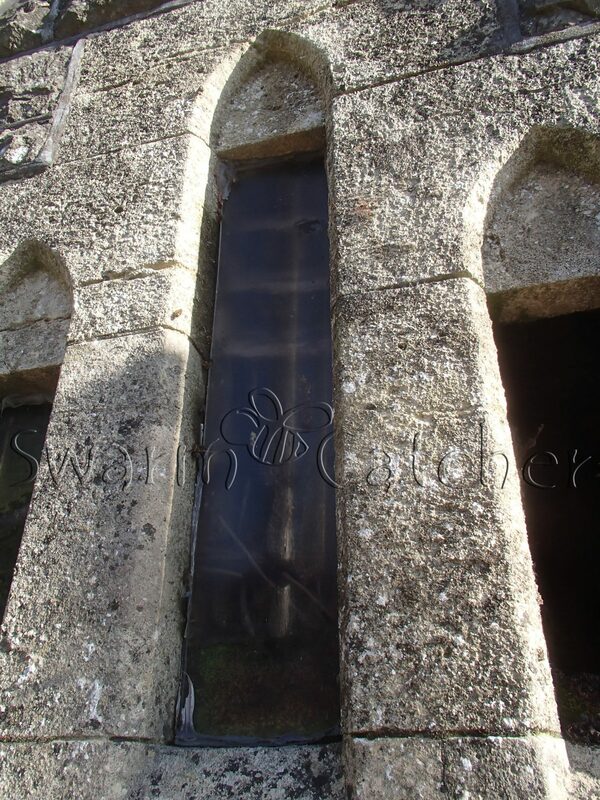 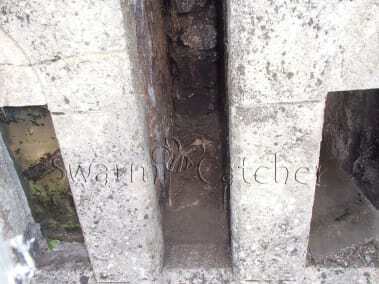 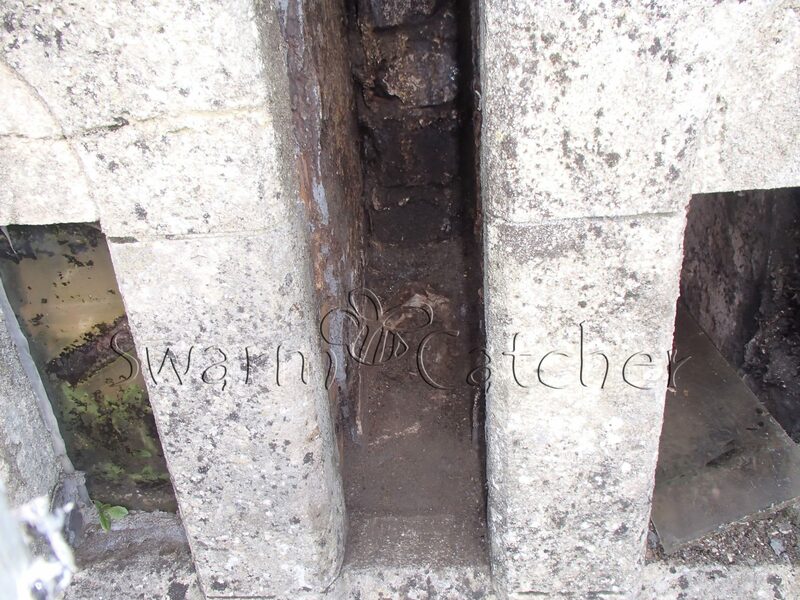 On other occasions they have utilised holes that pipework long since removed would have run through, or the hole for pipework is too large for the pipes running thru so providing ample space for bees or wasps to enter. 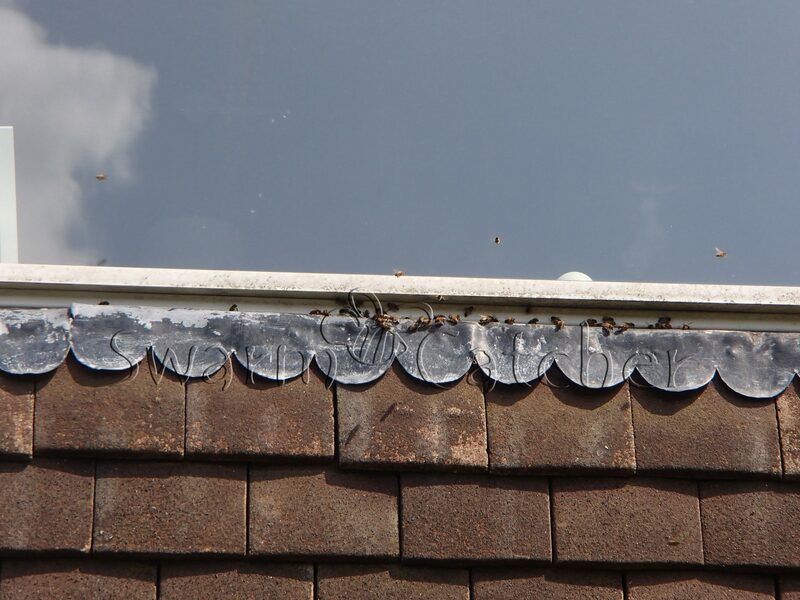 Regularly we go to removals of bees in walls where new soffits have been fitted but they haven’t been sealed to the wall properly so allowing the bees up and into either the wall cavity or the soffits. 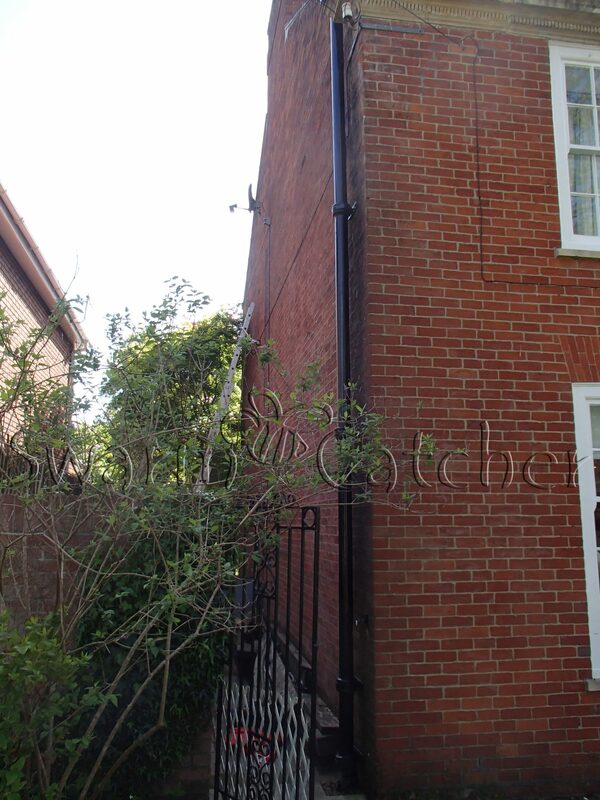 We have also seen them in relatively new builds finding their way thru gaps left for drainage (and not proofed), again between soffits and brickwork, and more often now between the brickwork and fascia board. In commercial buildings we find them entering thru old (not plugged) holes used to mount equipment such as lights and cameras, or finding their way under badly sealed flashing/capping on parapets. 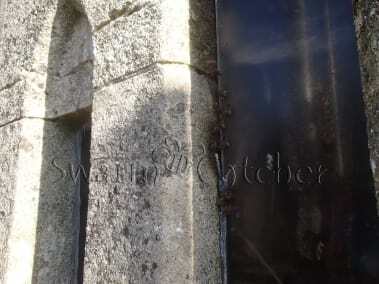 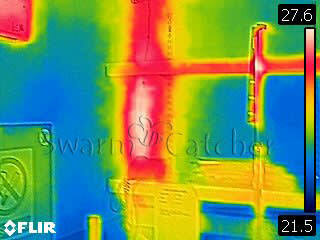 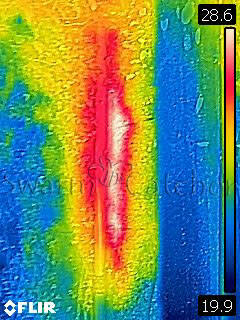 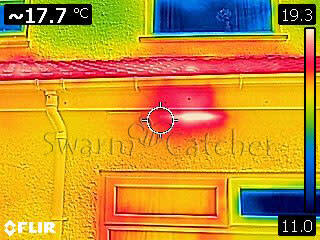 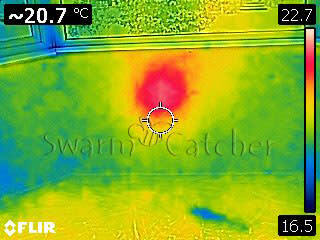 We can’t emphasise enough the importance of getting bees that have recently occupied a wall cavity out. 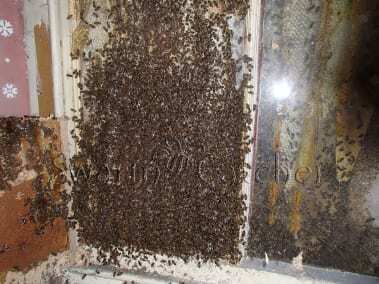 Forget about collecting them (although this should be possible) the most important thing is to move them out ASAP, preferably within the first 5 days. 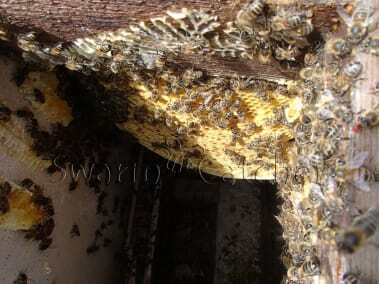 You need to know they have just arrived and are not a previously unnoticed but established colony. 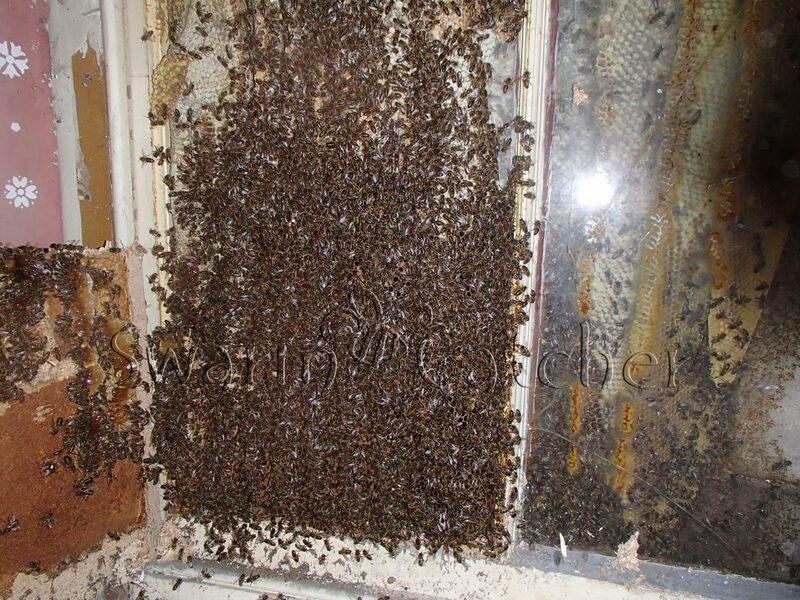 Despite having been poisoned the dead bees will attract carpet beetle, clothes moths and other stored product type pests, which having cleared up the bees will look for food elsewhere – finding their way into your property and causing damage. 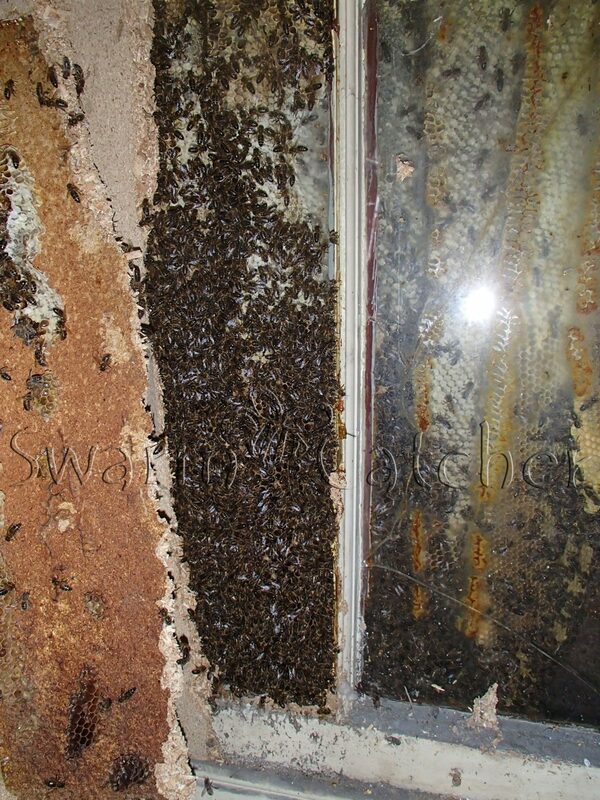 Don’t forget our general overview on honey bee removals which can be found at ‘Live honey bee removal‘. For information on removal and relocation of honey bees in roofs, attics and lofts our page ‘Honey bees in roof spaces‘ should be of use.